Also called "Egyptian Gypsies Tarot" on the box. 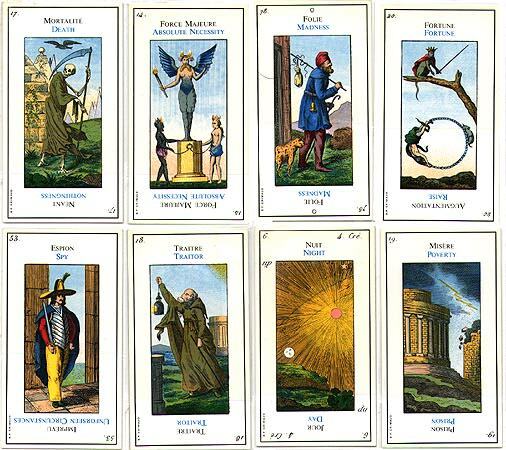 78 card tarot made in France by Grimaud. No credit is given for the art, so it may be a reproduction of an older deck. The high suit cards aren't face cards. 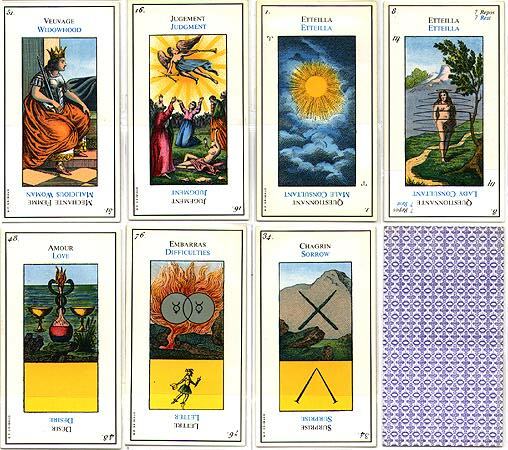 2 cards are titled "Etiella," the male and female consultants.